The gorgeous Medium Oak finish of this chair-side end table gives it an extra kick that will look fabulous in any setting. The even, consistent finish is created with multiple hand applications and a nitrocellulose lacquer top-coat for long lasting durability. 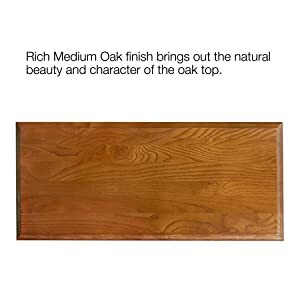 When you get tired of this finish, you always have the option to refinish your furniture. Leick Furniture has been around since 1910 and only uses hand finished solid hardwoods to ensure your furniture lasts as long as you. 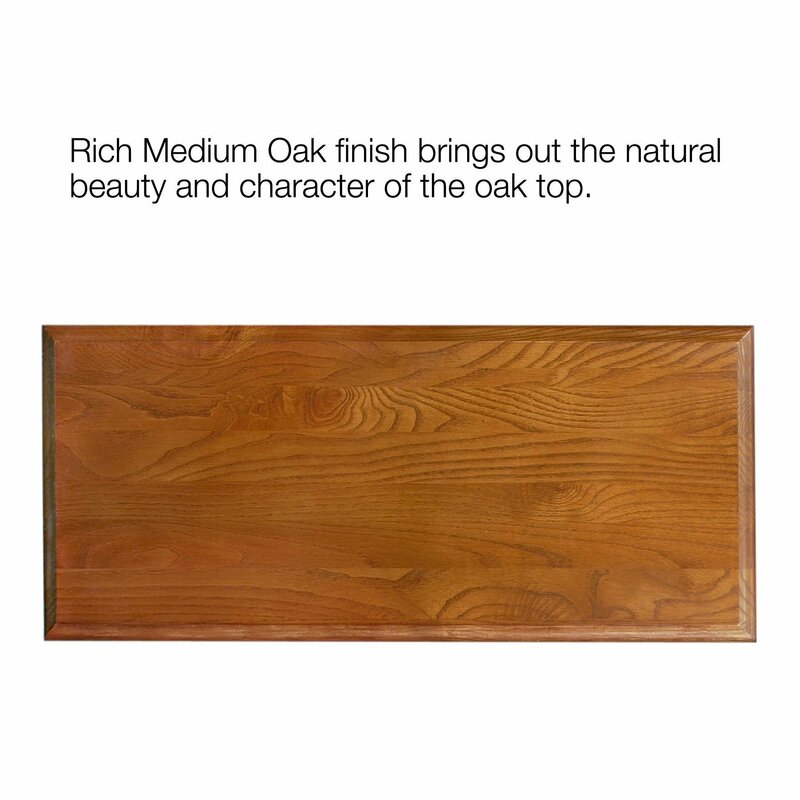 The attractive wood grain is accented with the stunning Medium Oak finish that is present throughout the piece. With its solid ash and oak veneer construction, this table is built to last. 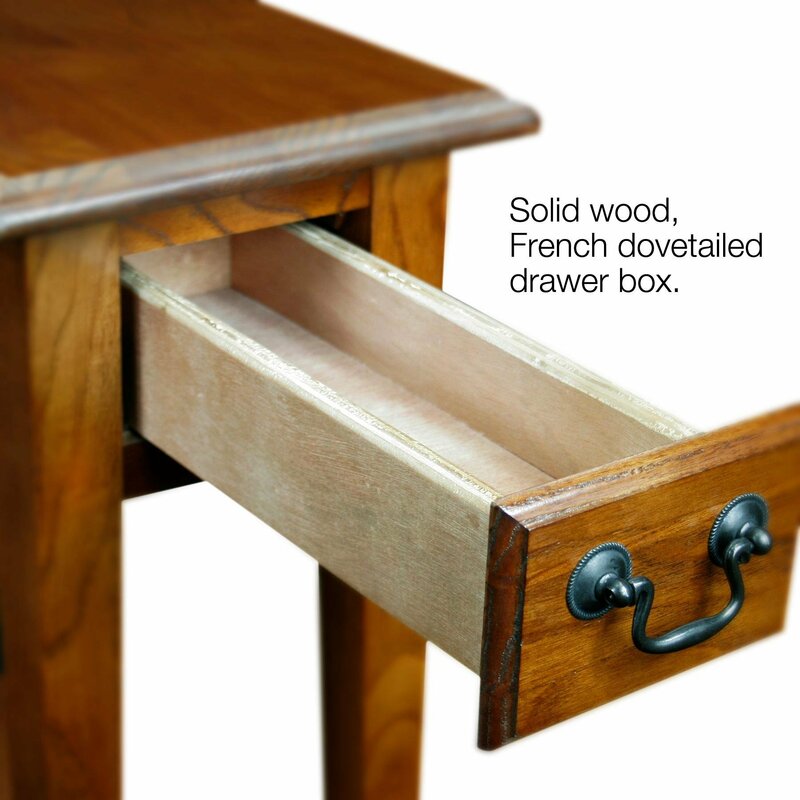 A solid wood top offers durable, worry free construction that is meant to be used. Designed with durability and assembly in mind, it's simple: attach the legs to the top and slide the shelf onto its clips. Leick provides intelligently engineered, long lasting furniture to address the challenges of small space living. 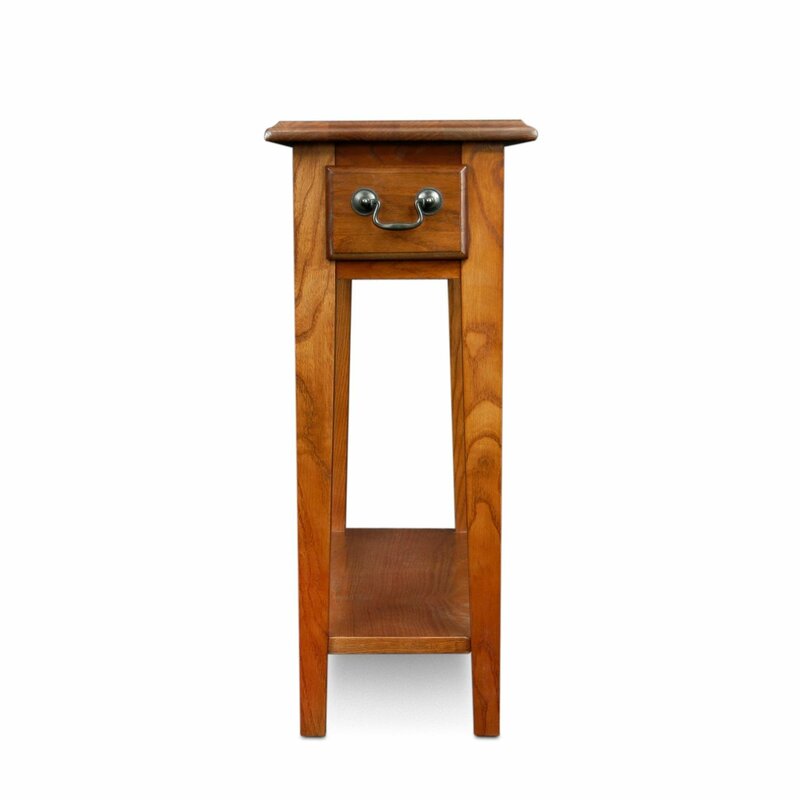 With its simple 10 inches W x 24 inches D x 24 inches H footprint, the chair side table can fit in many different places. Its compact size makes it perfect for small apartments, condos, or dorm rooms where space is a premium. It will also help de-clutter your space with a built in shelf and drawer for remotes and other small items. Leick Recliner Wedge End Table. Overall Dimensions: 8 inches W front - 15 inches W back x 24 inches H x 24 inches D. Make simple use of your limited space with this compact and convenient table. Its unique wedge shape makes it ideal for use between your favorite recliners. Leick Demilune Console Table. Overall Dimensions: 34 inches W x 13 inches D x 28 inches H. Display your favorite décor items either in your hallway, behind the sofa, or in the entryway with this exquisite console table. Leick Narrow Lamp Table. Overall Dimensions: 12 inches W x 23.5 inches D x 57 inches H. The ultimate functionality in a small space, swing arm lighting, storage drawer and display shelf. A perfect addition to your living space. Leick Square End Table. Overall Dimensions: 15 inches W x 15 inches D x 24 inches H. A perfect table for your favorite lamp, storage drawer for remote controls and a lower shelf for magazines. Functionality does not have to take up a lot of space. 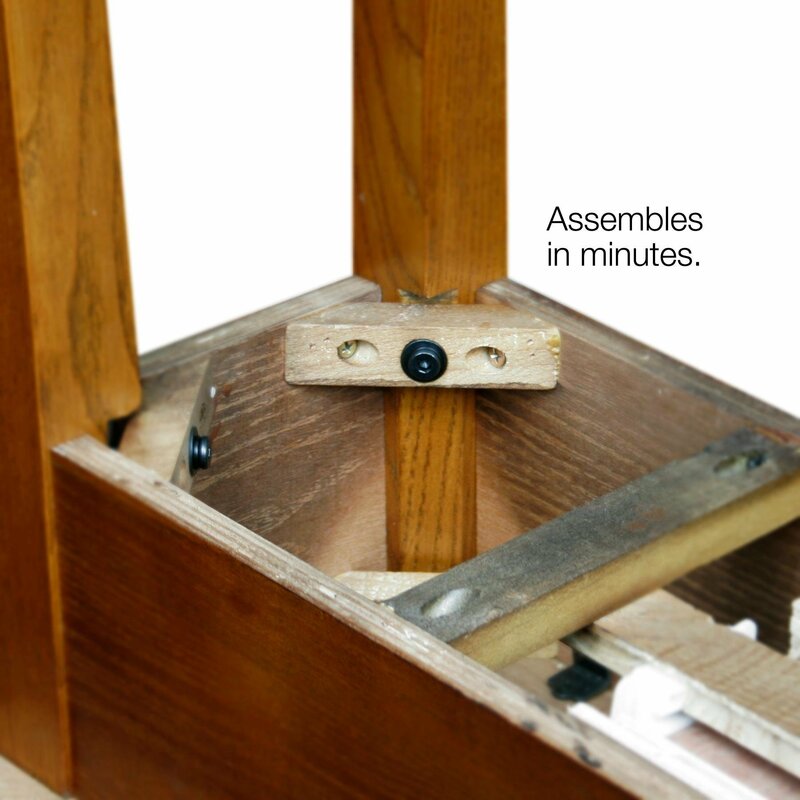 Simple, knock-down assembly ensures that setting up is a snap. Simply attach the legs, slide the drawer in, and you're done! Dimensions: 10 W x 24" D x 24"H"